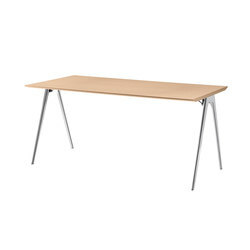 The multi-functional requirements of contract furniture make it one of the most difficult design disciplines to master. Of course it needs to look slick and impressive in a business setting, especially when employed by high-profile clients or those with a design pedigree. But the contract-furniture game is much more subtle than putting a great looking-table and chairs in a corner by reception. The most important factor for designers to consider is also the most hidden – functionality. 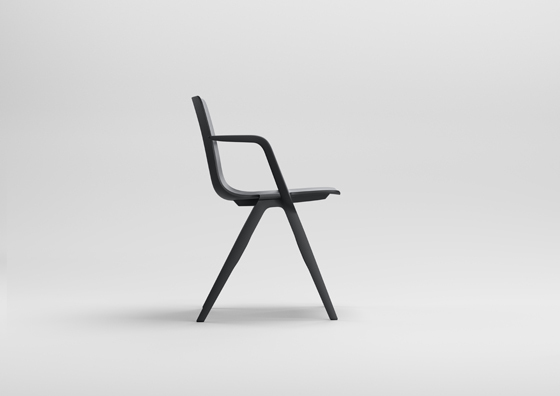 Brunner’s brief to A-Chair designers Jehs+Laub was deliciously simple: “Think as you like. 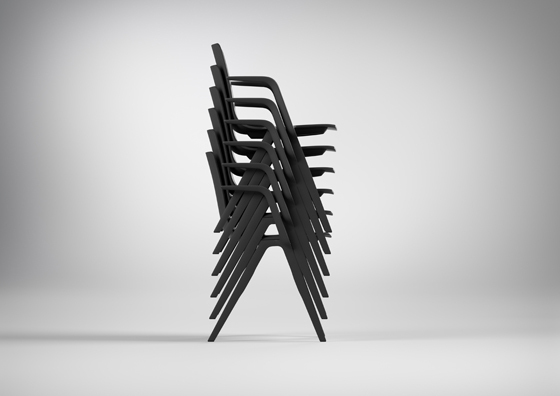 Only make us a stacking chair for the 21st century.” This gifted the designers the kind of freedom they thrive on, the kind of freedom that’s won them renowned international status, and the kind of freedom to create something spectacular. 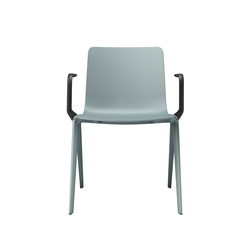 Spectacular is exactly what the A-Chair does best, blending a slick silhouetted frame with enough 21st-century design nous to ensure it’s functional and, above all, suitable for the unlimited applications of contract environments. 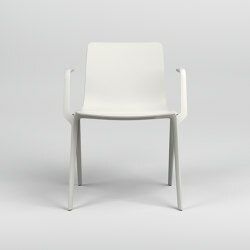 The initial design for the A-Chair came quickly and naturally. “We cut it out of paper,” Jürgen Laub recalls. “One piece. And then folded. At that moment we knew: it is fabulously stackable.” It also gave way to one of the essential components of the A-Chair’s design. 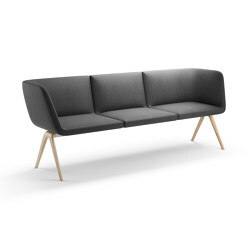 Its slim legs only take up half the width a standard chair leg might, while their curvature allows two to combine into one when placed together. This means when many A-Chairs are aligned, they share two legs with each neighbour. 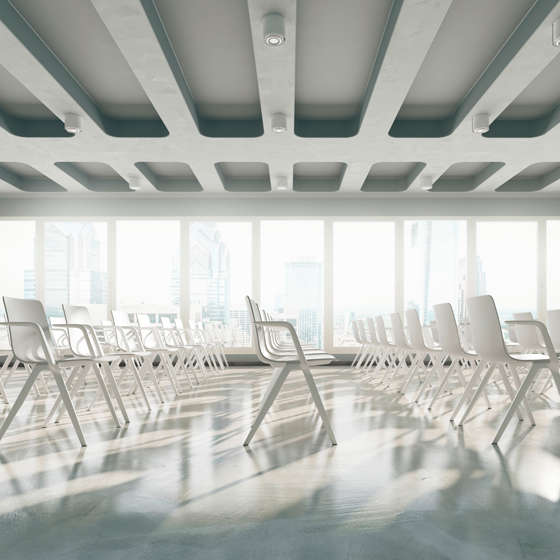 Lining up rows and rows of chairs is easy with an optional, innovative and uncharacteristically aesthetic row-linking system. The overall effect on the conference floor is a clean and fresh look; unobtrusive to the overall visual message of the event. As a journalist, I’ve spent my fair share of lifetimes at events, talks, conferences and seminars. Sitting. Waiting. Sitting. Listening. Sitting some more. The chair you sit on is the one part of the event you come most into contact with and, all too often, take away with you in aches and pains. 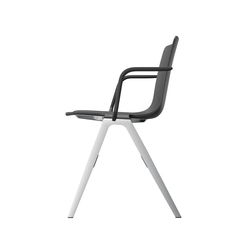 Thankfully, due to the innovative construction of the frame – itself made of reinforced thermoplastic polyamide – although slim, the A-Chair’s legs do not adversely affect its stability and comfort. This material, combined with a high proportion of glass fibres, provide the frame with increased energy absorption. 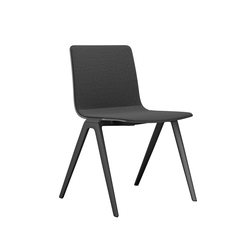 A lateral, curve-edged seat shell is a feature already apparent in the majority of high-quantity contract chairs. 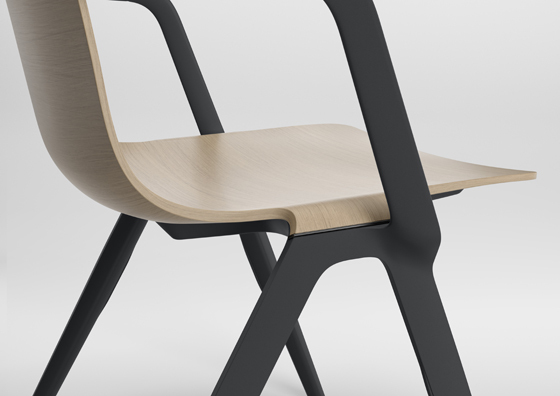 But with the A-Chair, the curve continues down to join the top of the frame at a lower point. While helpfully reducing the risk of trapped fingers, taking the frame away from the seat also makes for a more comfortable sitting position. 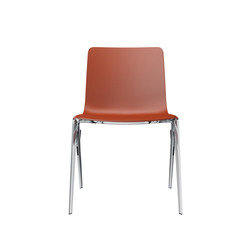 With no requirement to share the warm, soft, cushioned or ergonomically shaped seat with a large, cold bar of metal. Meeting each other at the Ulm School of Design entrance exam, Markus Jehs and Jürgen Laub had both decided to concentrate specifically on industrial design. This focus distinguishes them from other designers, says Laub, and means they consciously design products for large quantities. 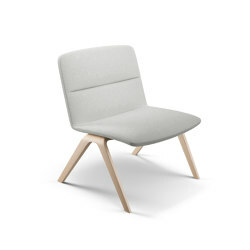 With optional armrests set into the frame, blending or contrasting colours and materials, Brunner and Jehs+Laub have combined to create the ultimate conference chair. 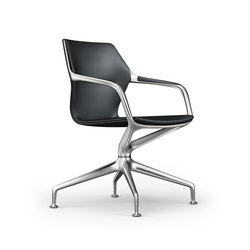 A chair with integrated seat and row numbering – saving professional event planners time and budget. 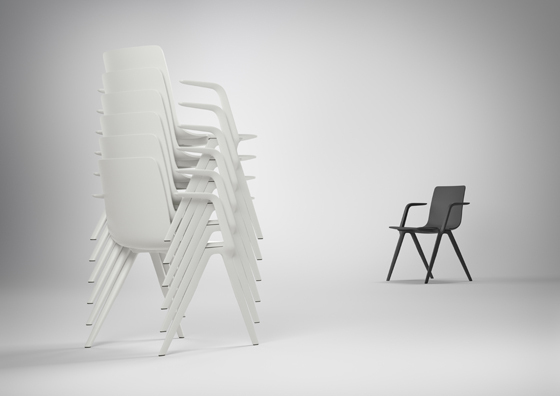 A chair stackable up to 15 high – saving time and space when transferred to storage. 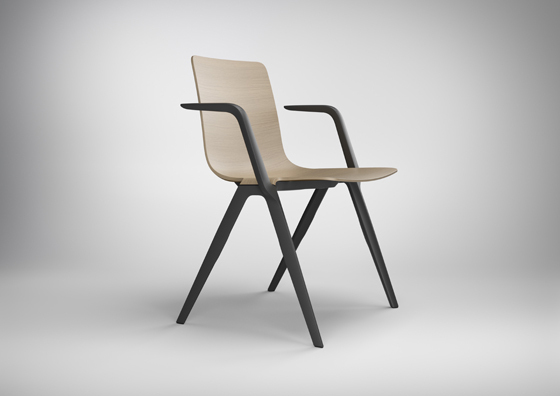 A chair that can be linked together simply with an innovative new row-linking system. 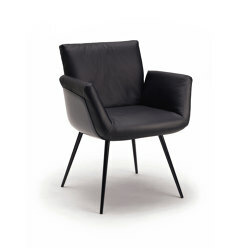 A chair with seat cushion options in leather and other high-quality fabrics. 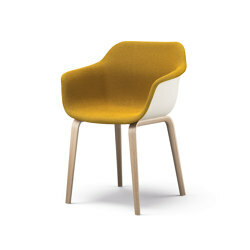 A chair with varying frame, shell and armrest materials and colours, providing hundreds of possible combinations. 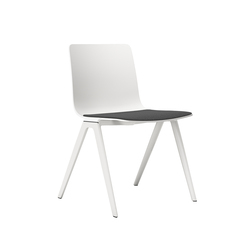 A chair for the masses.